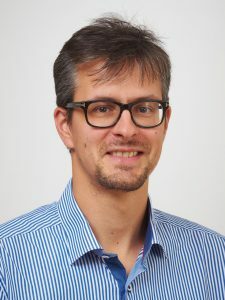 Thomas König, born 1976 in Graz (Austria), is expert on innovation and research policy in Europe, with a special focus on the role of social sciences and humanities. At present he is senior scientist at IHS (Institute for Advanced Studies, Vienna), Austria, where he also supports the Scientific Director. Thomas studied history and political science at the Universities of Vienna and Copenhagen, and obtained his PhD in Political Science in 2009 from the University of Vienna with a study on the impact of the Fulbright Program on Austrian post-war academia. Soon afterwards, Thomas has been scientific advisor to the President of the European Research Council (ERC), Helga Nowotny, between 2010 and 2013. In 2014, he was a Fulbright Research Scholar at Harvard’s Center for European Studies. In 2017, he published his monograph on the history of the ERC, called “The European Research Council”, with Polity Press. Thomas has been engaged with the European grassroots’ organisation, EuroScience, since 2012, and has published academic papers as well as opinion pieces on issues concerning EU research policy.